Fetish: Traversing the occupied body. We approach the rough hued designation ‘Fetish’ with inveterate apprehension. The term marks a disturbed frontier between inside and outside, self and other, an elemental antagonism. Like the object it too is pocked and pitted with our near desires, fears and denials. The “Stereotype [Fetish]… is a form of knowledge and identification that vacillates between what is always in place, already known, and something that must be anxiously repeated (Bhabha in Hook, 2005, p13. ),“the correct German word for the vicissitude of [this] idea would be ‘Verleugnung’ [‘disavowal’]’ (Freud, 1927, pp153.). It is through the subtractive synecdoche that the fetish gathers an excess of signification, desire providing the surplus in value and, thus, fantasy fills the anxious abyss between the self and the ‘other’. And yet; “as a power that transfers to beings, objects and agencies, it is universal and diffuse but it crystallizes at strategic points so that its flux can be regulated and diverted by certain groups or individuals for their own benefit” (Baudrillard, 1981, p88.). constrain/fixate the imagination on in order for the image to become a mobilising agency. This valorised parody of our pleasures, the fetish, acts as an obscene bribe that coerces our oppressive and repressive drives into action. Performing a miraculous/fantasmic act of shifting signification, through disavowal, the fetishised makes the unknowable instantly identifiable whilst maintaining and even accentuating difference. (travellers) explorers, agents of colonies and ideologies, as they meet themselves on the foreign shore of ‘difference’ and fearfully grasps at fantasies with which to fill the abyss between the known and unknown dimensions their own reflection. Surely cogitation, and play around the discursive formula of fetishistic disavowal allows us to “come to terms with this surplus (or, more precisely, leftover) means to acknowledge a fundamental deadlock (‘antagonism’), a kernel resisting symbolic integration-dissolution. (Zizek, 2008, pp24) By imitating the libidinal ticks and taking our pleasure sans the horizon of prevalent arch-ideological meanings that they are attached to, we may, as subversives and artists, agitate the seemingly implicit ideological excess and so provide a critique of hegemonic ideology by presenting continuous encounters with that radical other. Following this artists are invited to submit work, in any medium, that reflect, critique or play around the contemporary and/or historic manifestations of the Fetishistic formulation as a means of resisting this symbolic dissolution/integration. Baudrillard, J. 1981. For a critique of the political economy of the sign. USA: Telos press LTD.
Freud, S. 1927. Fetishism (J. Stranchey, Trans.) The Complete psychological works of Sigmund Freud. (Vol. XXI, pp147-157). London: Hogarth and the Institute of Psychoanalysis. Hook, D. 2005. – Paradoxes of the other: (Post) colonial racism, radical difference, stereotype as fetish. [Online] Available at http://pins.org.za/pins31/Hook.pdf [Accessed 3 January 2015]. Richardson, M. 1998. ed. 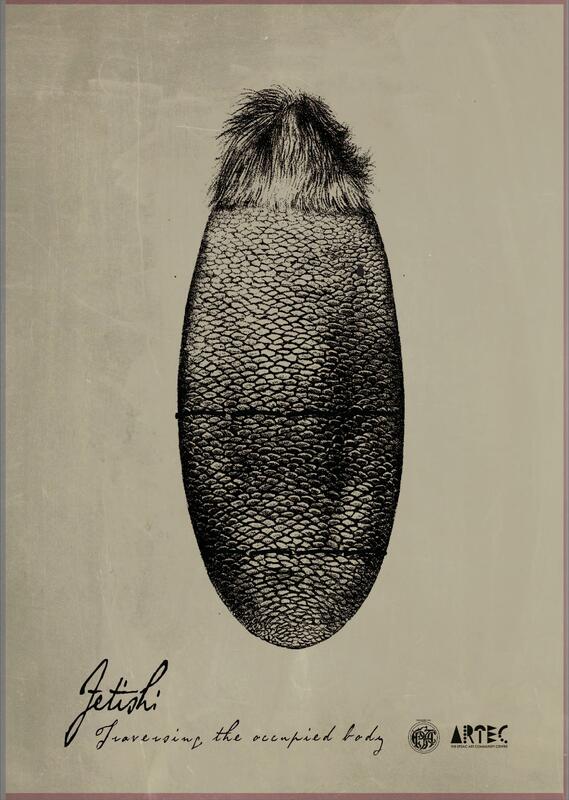 Georges Bataille: Essential Writings . London: Sage Publications LTD.
Žižek, S. 2008. The sublime object of ideology. London, New York: Verso Publications LTD. 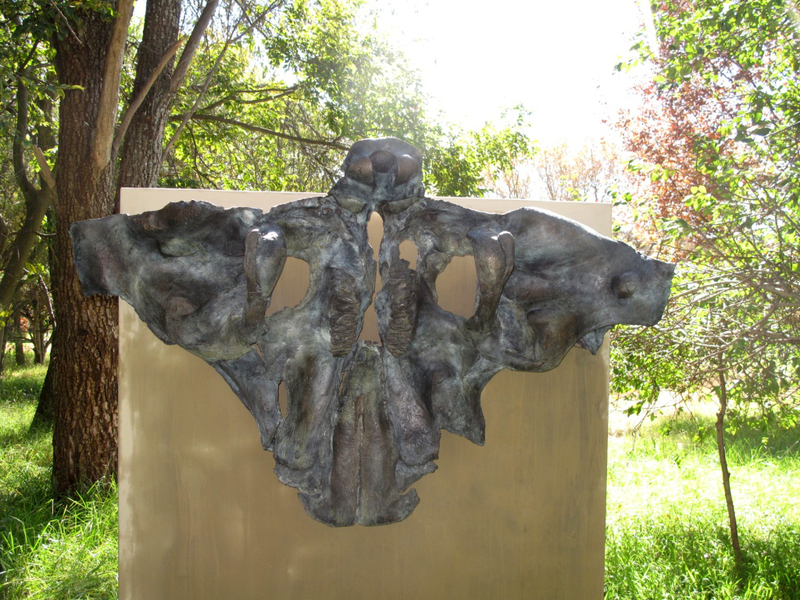 Installation view of collaborative sculpture at Nirox Sculpture Park. A major interest within contemporary art is the increasing search for identity along with an increasing sense of self–reflexivity. Gleason (1983:910) states that “identity came into use as a popular social science term only in the 1950s at which time it was assigned not to particular racial, cultural, or sexual differences but to the self as an existential category.” Me 1 is an exploratory exhibition featuring works in a variety of media that investigate the way we create the understanding of identity through art. 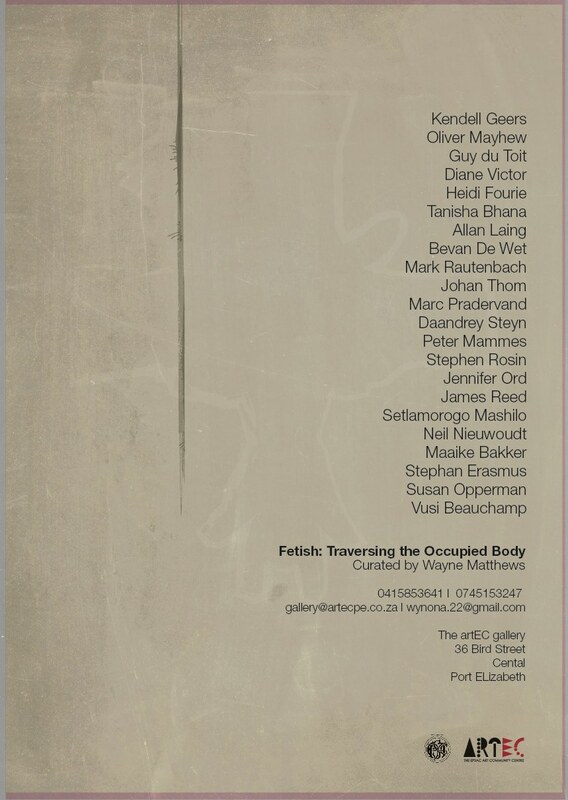 The exhibition includes works by Johan Thom, Senzeni Marasela, Lionel Smit, Rozan Cochrane, Bongi Bengu, Oliver Mayhew and Jayne Crawshay-Hall, who all seem to be involved in the examination processes of forming, inheriting and expressing personal and social identities. The exhibition encourages the audience to re-examine basic assumptions about identity within our “anonymous society” (Gleason 1983:69), and prompts the viewer to question preconceived ideas of identity, in order to reach a stable sense of selfhood. Gleason, P. 1983. Identifying Identity: A Semantic History. Journal of American History (69).